Battery Powered Open Frame 7" LCD Advertising Monitor-OEM. 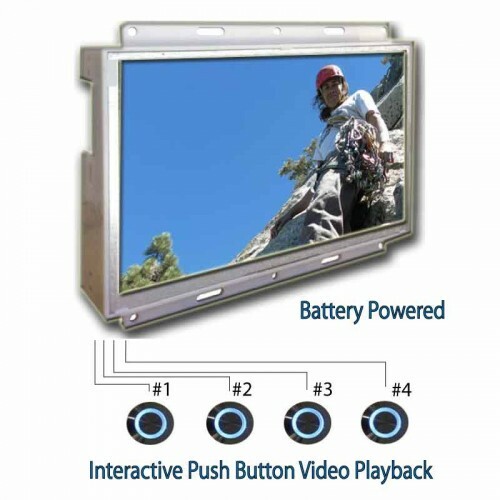 Designed for Custom Retail Video Displays. 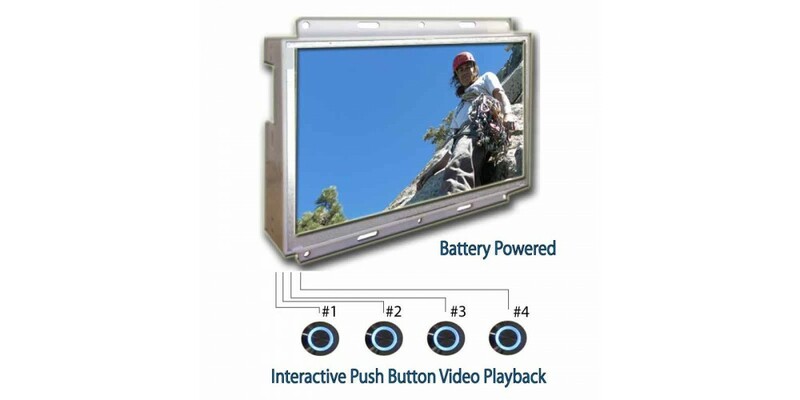 The DPLB7OF is a 7-inch open frame battery powered LCD/ LED advertising screen with internal memory, expandable SD card, flashing interactive buttons (up to QTY-4), optional motion sensor and a low current chipset designed for use with batteries. This is for custom integration into in-store point-of-purchase (P.O.P) advertising displays where there is no AC power plug. The DPLB7OF has a very low power consumption giving a longer lasting battery, more playbacks and more marketing power. The advertising monitor will play videos with sound and JPEG image slideshows. Created for custom semi-permanant marketing displays, this OEM product is a cost effective digital advertising monitor with an internal LCD media player that does not require a wall power outlet. Built-in mounting tabs on this open frame digital screen allows for easy integration to your retail display. The quality digital LCD with LED backlight will perform excellent in commercial retail environments.